Experimenting:: with a wool pressing mat. When Precision Quilting Tools offered to let me test a wool pressing mat, I was happy to oblige. I’d heard they retain heat so it’s like you’re pressing from both sides at once. They sent me a 17” square mat, which I used to press an entire quilt. Well friends, I was not too impressed. Using the mat did slightly increase pressing flatness and speed, but not enough to warrant the investment on that feature alone. On the positive side, the 1/2” thick mat is quite portable. 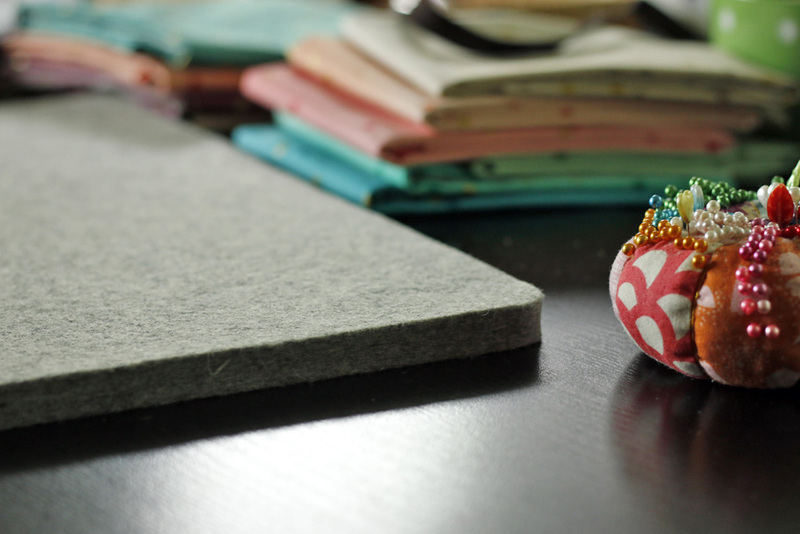 It’s great to take to a workshop, use in a tight space or have right by your sewing machine for convenience. On the down side, the wool does singe when you press directly on the wool, as when pressing small patchwork pieces. I was hoping the wool would be more naturally singe-resistant, so that it would look new longer than a cotton pressing mat. Reading:: Life Reimagined: The Science, Art and Opportunity of Midlife by Barbara Bradley Hagerty. Part non-fiction, part memoir, this book is a mixture of light and interesting facts combined with thought-provoking science. As I look ahead to the next stage of life, this book is a nice transition. Following:: Brigitte Heitland of Zen Chic. She writes her beautiful blog from Germany. The post “How to sew a Perfect Scant 1/4” Seam” is a great resource for new quilters. I’m enjoying Brigitte’s clean, but colorful modern style. 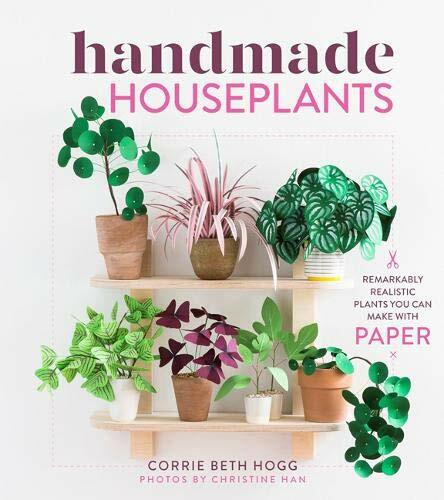 Anticipating:: making paper houseplants. Ok, you can laugh, but hear me out! I recently came across this book and fell in love at first sight. I’m all for a few real house plants, but paper ones don’t need watering, repotting or other kinds of fussing. I’ve already ordered the book and loaded my wish list with needed supplies just in time for Christmas. Yay! I don’t think paper plants are easy to pack, so I’ll be saving this project for after our move. It might be perfect for the transition time when my sewing space is not yet available. But which one should I make first? Maybe some of these pink Japanese maple stems to place in one of my empty vases!